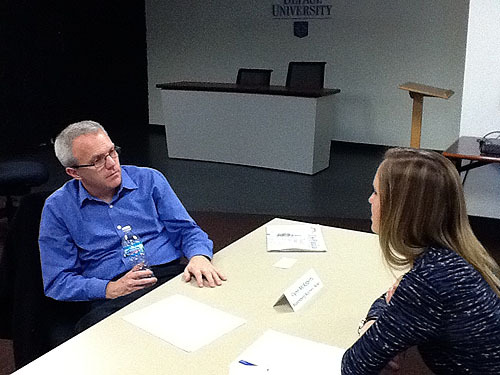 Flynn McRoberts (left), of Bloomberg Business News, offers advice to SPJ DePaul Vice President Lauren Camplin. The chapter also would like to thank College of Communication internship director Graciela Kenig for helping plan the event. 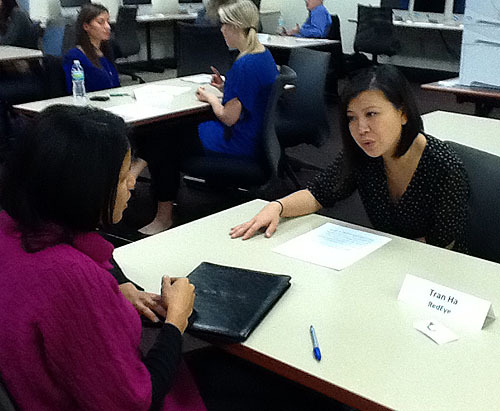 Tran Ha (right), of RedEye, advises new SPJ DePaul member Monica Carter.